* She has such a positive presence... my kids kept wanting to talk to her! Lovely. * Friendly, charming, entertaining, polite, the most fun I�ve had in a long time. * Dawn was AMAZING! Great rapport with the kids! 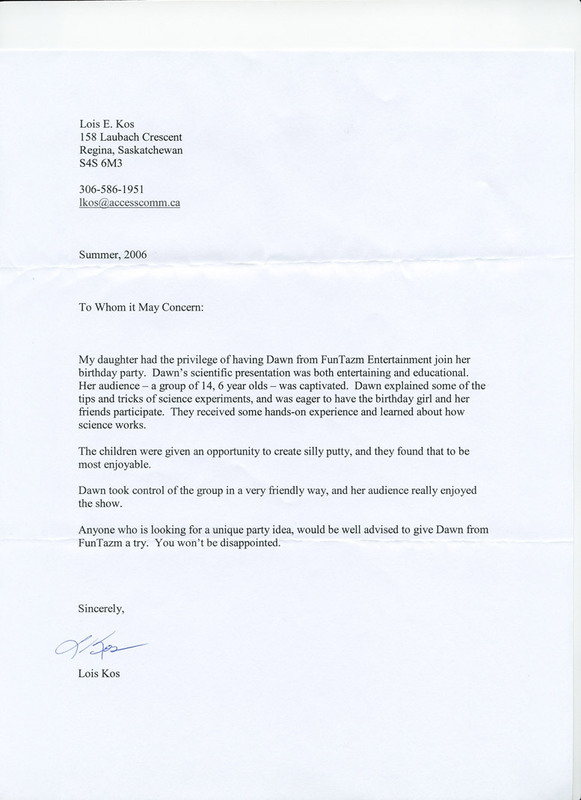 * Excellent with the kids � made the party! * Amazing job! There is nothing you can�t do! * Fantastic at design and made the birthday girl very happy! * Awesome! Friendly, great with adults and children. * FANTASTIC! KIDS LOVED IT! * Very friendly, outgoing. Good with the children. * The balloon lady was very fun/entertaining! Funny with both adults & children! Thank you! * Very friendly and patient. Excellent. * Love the wrist corsage balloon. * Love the flower balloon! * Amazing time! Kids (girls) love seeing you. Keep up the great energy! * Very high energy! Kids loved her! * The balloons were AWESOME, the kids LOVED them! Thanks so much! * You are great at making balloons! Very good with kids and fun to be around!! You�re awesome! * Took the time to make my kids balloon art even though were were not having a BD party. Thank you! * Kids loved the Balloons! Many choices and everything was done very fast. * It was a good activity for the kids to sit and watch. She was very nice and good with the kids. * Really entertaining. Made the best dolphin ever! A real nice touch for a day out with the family. * Very spectacular and entertaining for all ages. More than just air! Awesome for all ages! * Amazing all the different creations she came up with! The kids LOVED them! * Loved her! Great addition to my 5 yr old nephew�s birthday party. Happy & bubble, excellent at her job. Wonderful! * Great addition to the party. The kids loved it! * Lots of fun! Very creative! * What a great addition to the party! * Very good! Balloon details were amazing! Thanks for including everyone! * The Balloon Twister made amazing things with her balloons. The kids were in awe. She even made one for a sister picking up her brother at a birthday party Thanks! * Who doesn�t like balloons � especially balloon sculptors. I enjoyed your friendly and approachable manner. * Great with the kids!!! 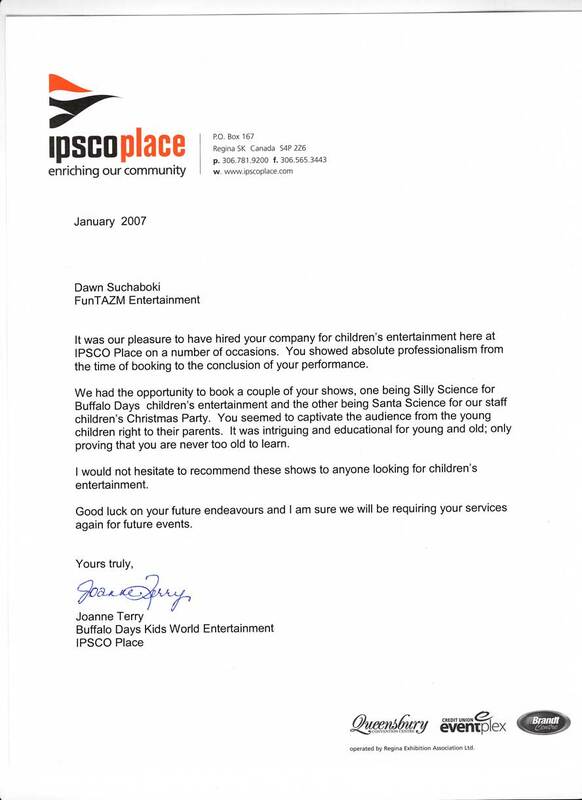 * Thank you so much for including our kids in the fun. So kind! We appreciate it. Hope to see you soon!! * Love love the balloons!! Never too old for Ballooons! * We had a lot of fun that night but by far your skit made the evening. My brother was absolutely speechless at how much you knew. The rest of us were absolutely impressed at how well you not only retained the info but also applied it. Simply magnificent you are a very talented lady. Thanks for attending our party. * I just wanted to get back to you and tell you how please we were with the feedback of your performance. We spoke with Joel yesterday afternoon and after vowing revenge on us he told us that it was a great and funny experience. Everyone there that observed it really enjoyed it. I was surprised to hear that you were there for 15 minutes. I was expecting a short song and you'd be out of there. It was definitely worth the cost. Keep up the good work. You brought enjoyment to everyone's day. * Nerdy Girl's larger than life animated delivery and attention to details from the questionnaire had everyone off their guards and in stitches.. Including the 39 (again) year old birthday girl, the stern faced husband, grandma, and even the dogs! A riotous success we'll be talking about for years. * I just wanted to say thank you so much again for the singing telegram!! Everyone was so blown away by what you did...it was perfection!! * The residents of Victoria Park Care Home had a really great time at this years Christmas Party, and and that was due as well to the great entertainment. I look forward to seeing you in the new year to perform for us again! * To enjoy the finer things in life, I highly recommend FunTAZM for any occasion. * Thank you so much for your birthday greeting to Russ. There were so many great comments after you left. You did a wonderful job. Thanks again. * I want to once again tell you what a fantastic job we all thought you did on Sunday. Your memory for facts (especially those not particularly relevant to you personally) was astounding and you certainly made our party. People were constantly talking about you and wanted your name and company so expect some more business! Thank you again! You were absolutely excellent! * I just wanted to thank you and geeky girl for the great job on the telegram, it was better than expected. She did a great job and left everyone smiling and my mom in tears from laughing so hard. Thanks again for the amazing job! * You did a party for my mom's retirement and 65th birthday party. Thank you for what you did. I watched the tape of the party and you did such a great job that I had to send a thank you. You had everyone in stitches and they all said that you did a great job and also really enjoyed your singing. I again wish to say thank you. * THANKS so much Dawn. Your performance in character was hilariously fitting. You took the information that we gave you about my dad and worked it perfectly to add that final touch, definitely making his birthday party one to remember. Not to mention your voice - If one can sound that great doing acapella singing...! Very professional. * Just wanted to send you a quick note to say thank you very very much for your wonderful performance for Aaron at our call center. I have sent your website out to our staff as many wanted to know how they could get you out for some events coming up. You were fantastic, and provided exactly the kind of highlight to the day we were looking for. Thank you again! * The members were treated to a toe tappin' selection of jazz numbers performed by the dynamic lead singer, Dawn Suchoboki. 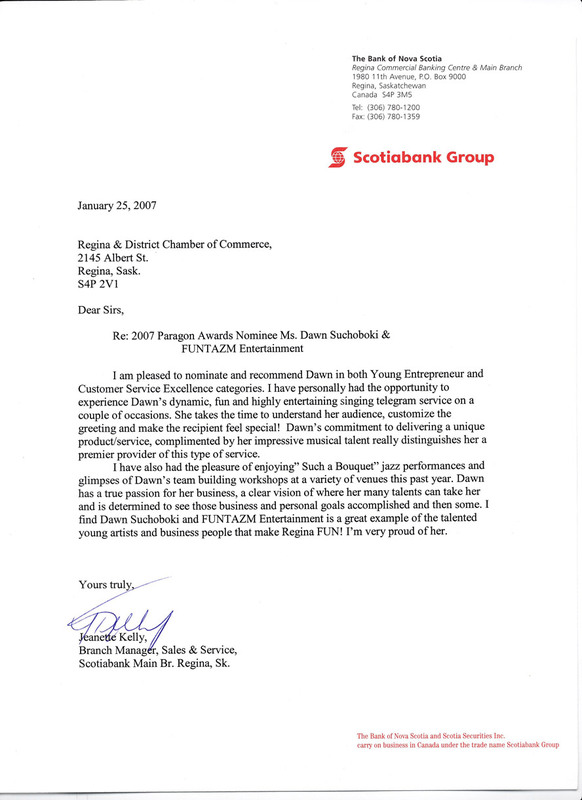 The performance was very professional and exciting, and we would recommend them to anyone looking for top-notch entertainment. * "Dawn's voice wrings out the passion in the Blues, then pours out the sweetness of jazz…an emotive vocal range that will enhance the feel of any song"
* You have a great talent. * You did a wonderful job--- I had many comments about what a lovely voice you have. -Feedback from Thomas Hadjistavropoulos, Ph.D., R.Psych. The jazz theme and jazz band were awesome. The steady flow of award presentations was amazing given large number of awards presented. Great job! The entertainment was awesome! Jazz d’Alexis was perfect. Very entertaining – the awards moved along quickly and the music afterward was great. Too bad they had to kick us out early! The atmosphere. Very classy. Well done! * THE PARTY WENT VERY, VERY WELL. THE FOOD WAS GREAT, MY DAD WAS QUITE SURPRISED AND PLEASED. EVERYONE GOT A BANG OUT OF YOUR PART IN THE PROGRAM----YOU DID A GREAT JOB OF IT AND COVERED ALL THE BASES!!! ENJOYED YOUR PERFORMANCE AND THANKS A LOT!!!!! * Thank you Dawn - you did a wonderful job today at the Regina Inn. Several tables commented to us and one offered the birthday bumps (men of course). I will definitely keep your company in mind if I need further party favors. Thanks again . . .
* I just wanted to thank you so much for what you did for Betty at the bank, it was absolutely hilarious and I think you’re fantastic. So, I just really wanted to thank you and hopefully I’ll be able to get you again sometime soon. * You all made me laugh - it was a great show. I thought you were all amazing, quick and extremely humorous. * Theatre sports are a fun interactive way to liven up a party. Dawn and the group from Funtazm are very funny and adaptable. The ideas and lines come from your company/ group so the entertainment is personalized. Crowd participation is key; Dawn and her troop are very interactive. Their energy is contagious and really sparks an evening of fun. Plus, countless thank you cards for a professional job well done. Right click on image and choose "View Image" for readable size. To provide future clients with valid feedback from our customers to assure you of our quality performances. © 2009, 2010 FunTAZM Entertainment. All rights reserved. Design by NodeThirtyThree and Free CSS Templates.